Masked and dangerous they stand at end of a ring. Heavy hombres ready to do battle for the besotted affections of a baying crowd. 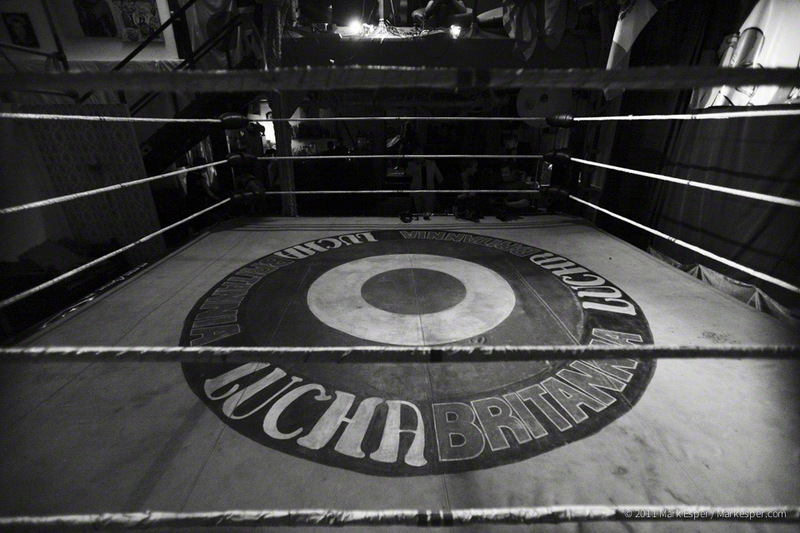 This is Lucha Britannia. 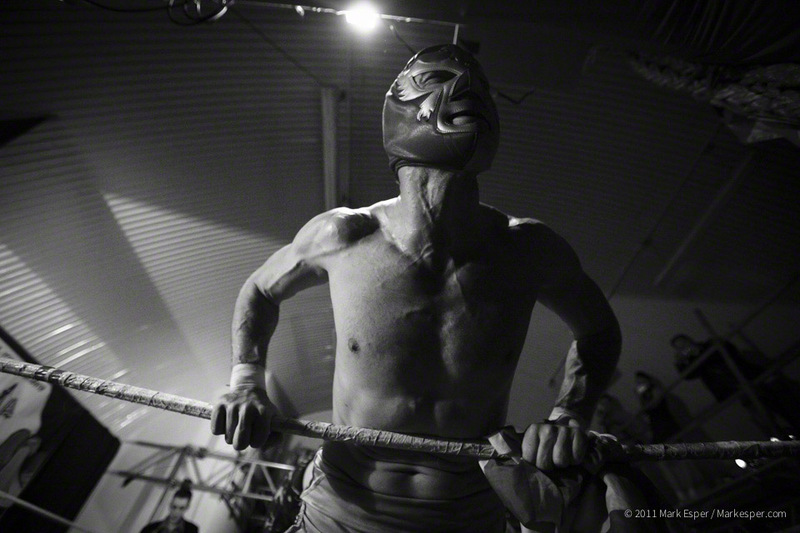 Mexican Wrestling transplanted to Bethnal Green, London. A cavalcade of costumed fighters climb into the ring, each announced by the self-styled camp compere beyond compare, Benjamin Louche. 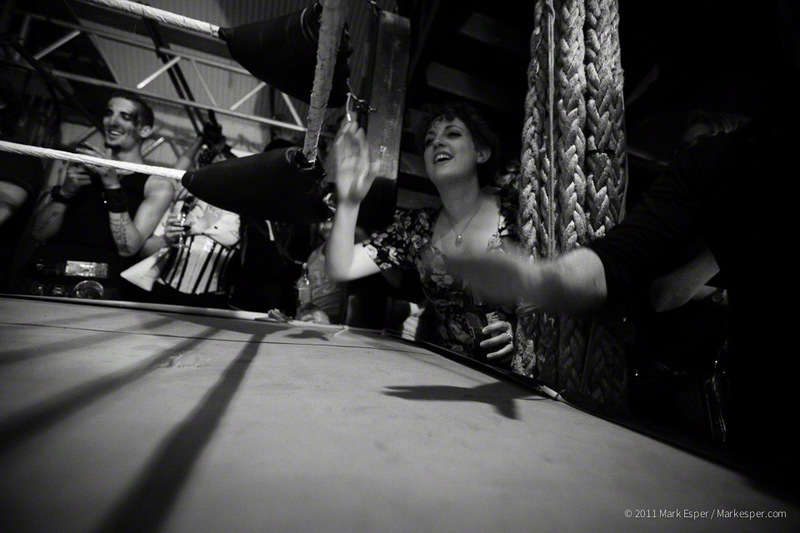 Arching his hand high into the sky, the bodies of Luchadors and Luchadoras quickly start to fall hard and heavy onto the canvas deck of this east London bear pit. 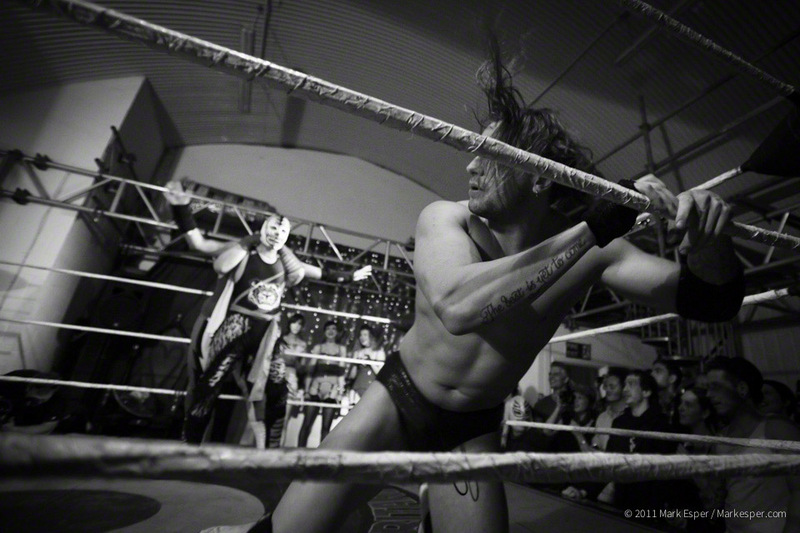 No one of is safe from Benjamin’s scabrous wit or the all-seeing eyes of referee Master Shiro Yoshida prowling round the edge of the ring. Bodies are hurled into the ropes. Flesh loudly clatters with burly muscle as the wrestlers collide, spraying tired-limbed fighters into the crowd – only to have them thrown straight back again. Hammer blow-like hands rain down on the canvas. The crowd wants its hero. Enter Leon Britannico. The slight framed house champion quickly launches himself into the ceiling, his prey marked out in the middle of the ring below. Skewered rather squashed, his opponent is duly flattened and pinned down to the canvas. The seconds bellowed by Master Shiro Yoshida put the outcome beyond question. Leon has won. The crowd roars in approval. With the main event concluded, accepting the plaudits of one’s fans can be a tricky thing for a latex-clad Luchadora – especially when there’s another ‘s playfully peeked ego to contend with. A cat fight ensues and the crowd re-ignites, realising there’s another fight on. Pinning and pushing each other around, the ladies of Lucha Britannia are now properly scrapping. As with everything to do with Lucha Britannia, this last fight is swiftly brought to an end with a good-natured batted eyelash to fun. The victory is won. Spent and tired, hands held aloft, they’re friends again. Transported by tequila and other beverages the evening winds down with the crowd and fighters mingling in the bar area below. The screaming and shouting of the evening before is now distilled down into a different heat, that of smiles and warm embraces. Prints: Selected Prints are available for online purchase. Image Licensing: Mark Esper. All Rights Reserved.